Home Daily Specials Party With Us Our Menu Coupons Blog Order Now! Print or display these coupons to our cashier to redeem! 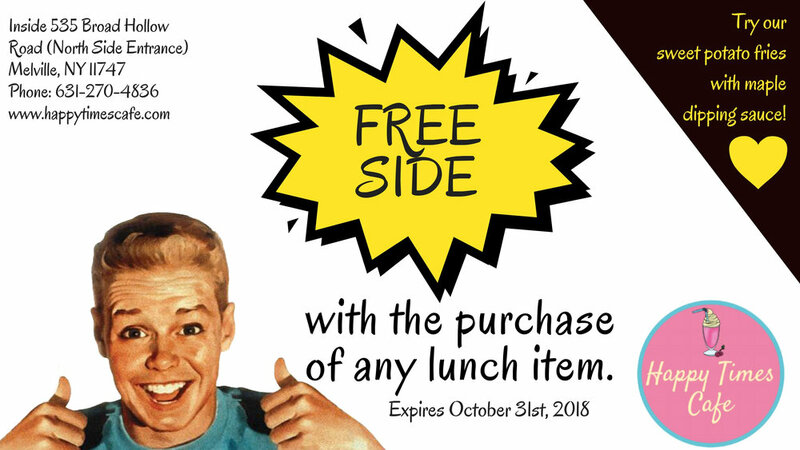 With the purchase of any Lunch Item.